The international festival dedicated to the moving image, digital cinema and design has arrived at its 10 year anniversary. More than 40 cities in every continent around the world will host the festival which has become the reference point for the simply curious, creatives, professionals and the new generation of filmmakers. 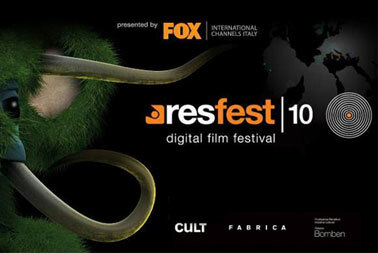 Resfest in Rome, Treviso and Turin delivers its innovative mix of technology, evolution and experimentation. The Treviso event will be hosted by Fabrica, Benetton group�s communication research center and Palazzo Bomben Fondazione Benetton Iniziative Culturali.